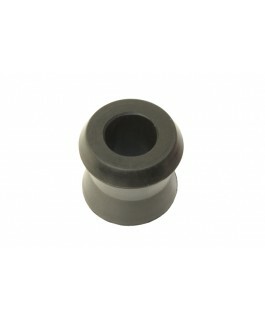 This is a replacement top shock bush Suitable For Tough Dog Shocks SOLD EACH..
Superior Polyurethane Castor Bushes 2 Degree Superior Engineering Brand of Polyurethane 2 degree castor bushes are Suitable For 2 Inch coil lift kits. 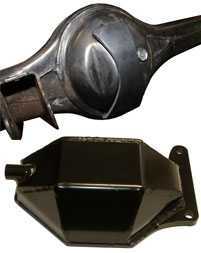 They are a steel outer cased bush to stop the bush rotating in the castor arm. Castor bush..
Superior Engineering has put together a Stage 1 - replacement 1" inch Tough Dog lift kit suitable for the ML & MN Mitsubishi Triton 4WD vehicles. 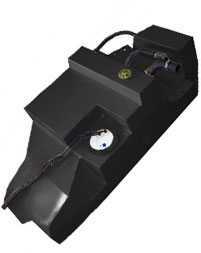 This Tough Dog kit will improve the ride of your Triton when carring any type of load. This ki..
Superior Engineering has put together a Stage 2 - replacement 1" inch Tough Dog lift kit suitable for the ML & MN Mitsubishi Triton 4WD vehicles. 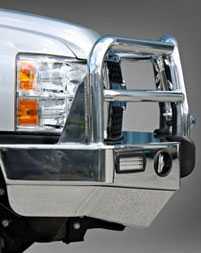 This Tough Dog kit will improve the ride of your Triton when carring any type of load. 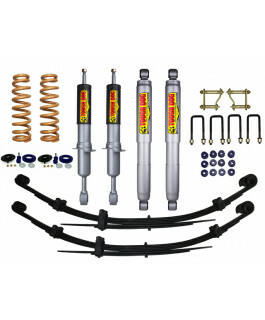 This kit in..
Superior Engineering has put together a full replacement upgrade 2" inch Tough Dog lift kit suitable for the Holden Drover and Suzuki Sierra 4WD vehicles. 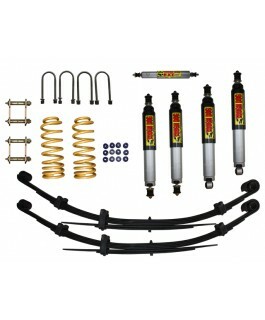 This kit includes the following Tough Dog suspension components and accessories: 2 ..
Superior Engineering has put together a full replacement upgrade 2" inch Tough Dog lift kit suitable for the GQ Nissan Patrol 4WD vehicle. 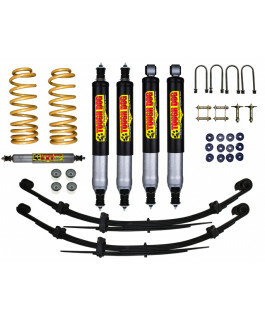 The Stage 1 kit comes with 41mm Foam Cell Shocks. 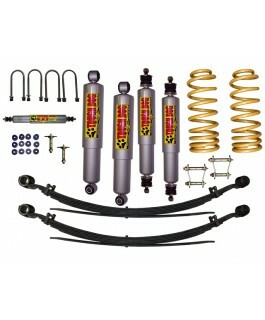 This kit includes the following Tough Dog suspension co..
Superior Engineering has put together a full replacement upgrade 2" inch Tough Dog lift kit suitable for the GQ Nissan Patrol 4WD vehicle. 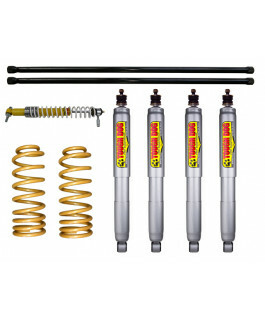 The Stage 2 kit comes with 40mm Adjustable Shocks. 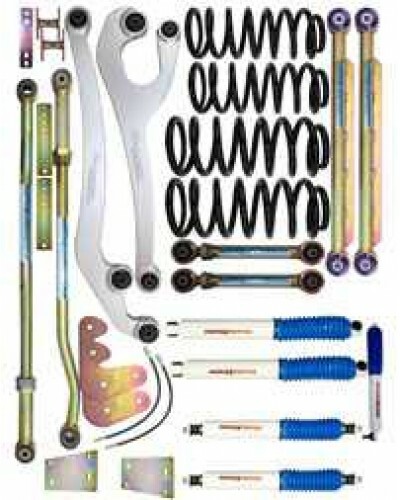 This kit includes the following Tough Dog suspensi..
Superior Engineering has put together a full replacement upgrade 2" inch Tough Dog lift kit suitable for the GQ Nissan Patrol 4WD vehicle. 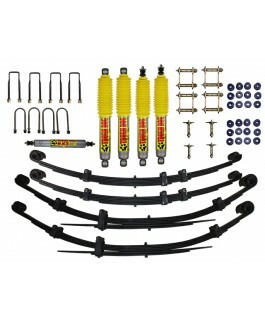 The Stage 3 kit comes with premium quality 45mm Adjustable Shocks. 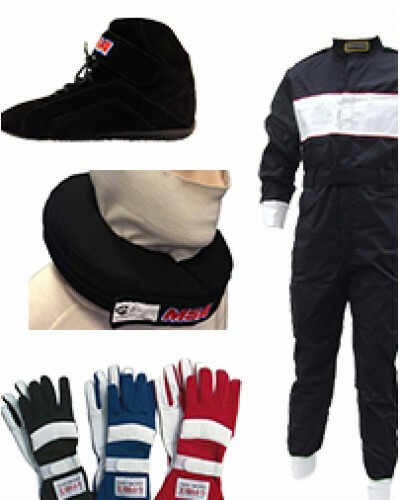 This kit includes the following To..
Superior Engineering has put together a full replacement upgrade 2" inch Tough Dog lift kit suitable for the GQ Nissan Patrol 4WD vehicle with leaf springs all round. The Stage 1 kit comes with 41mm Foam Cell Shocks. 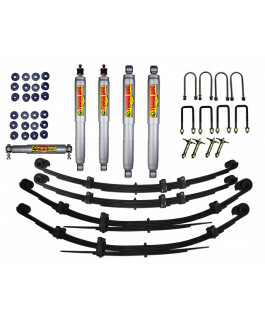 This kit includes the follo..
Superior Engineering has put together a full replacement upgrade 2" inch Tough Dog lift kit suitable for the GQ Nissan Patrol 4WD vehicle with leaf springs all round. 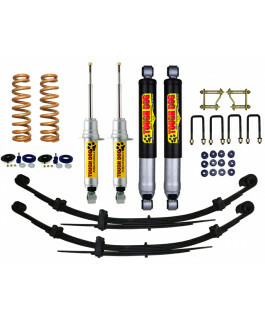 The Stage 2 kit comes with 40mm Adjustable Shocks. 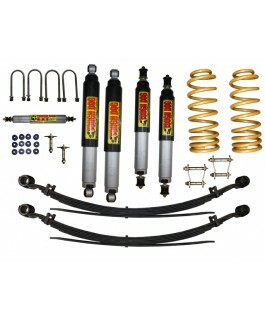 This kit includes the ..
Superior Engineering has put together a full replacement 2" inch Tough Dog lift kit suitable for the coil sprung GU Nissan Patrol Wagon (2000 On) 4WD vehicle. 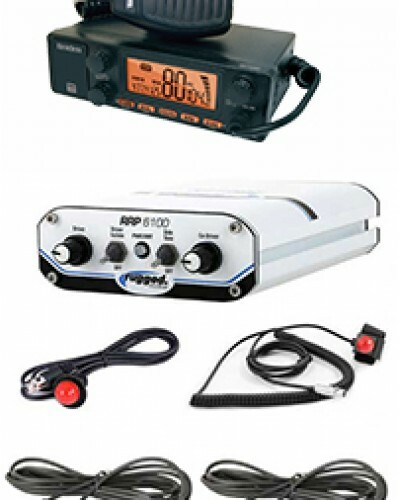 The Stage 1 upgrade kit comes with premium 41mm Foam Cell Shocks. 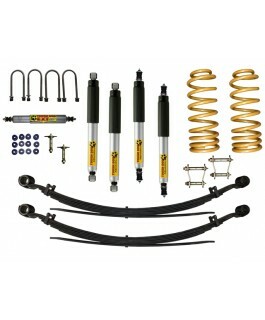 This kit includes t..
Superior Engineering has put together a full replacement 2" inch Tough Dog lift kit suitable for the coil sprung GU Nissan Patrol Wagon (2000 On) 4WD vehicle. 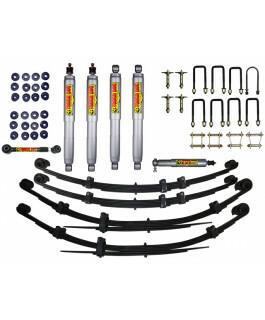 The Stage 2 upgrade kit comes with premium 40mm Adjustable Shock Absorbers. 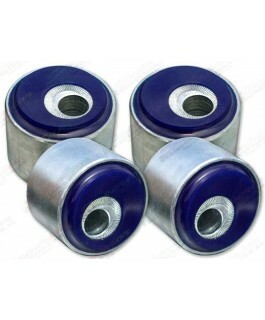 This ..
Superior Engineering has put together a full replacement 2" inch Tough Dog lift kit suitable for the coil sprung GU Nissan Patrol Wagon (2000 On) 4WD vehicle. 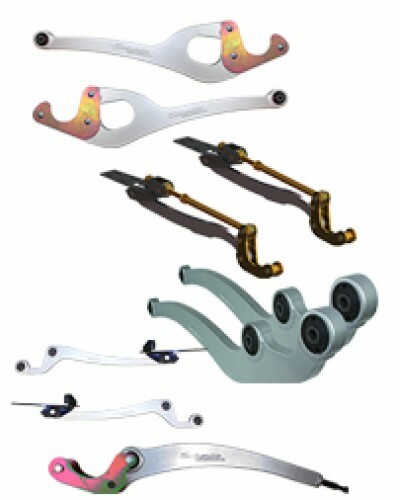 The Stage 3 upgrade kit comes with premium quality 45mm Adjustable Shock Absorbers. 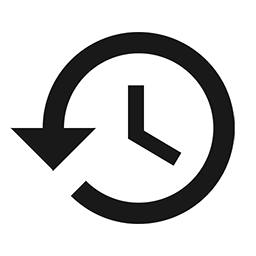 ..
Superior Engineering has put together a complete replacement 2" inch Tough Dog lift kit suitable for the coil sprung GU Nissan Patrol Wagon (98-99) and Nissan Patrol Ute (98 on) 4WD vehicles. The Stage 1 upgrade kit comes with premium 41mm Foam Ce..
Superior Engineering has put together a complete heavy duty 2" inch Tough Dog lift kit suitable for the coil sprung GU Nissan Patrol Wagon (98-99) and Nissan Patrol Ute (98 on) 4WD vehicles. 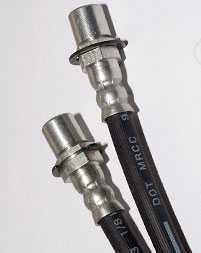 The Stage 2 upgrade kit comes with premium 40mm Adjustab..
Superior Engineering has put together a complete heavy duty 2" inch Tough Dog lift kit suitable for the coil sprung GU Nissan Patrol Wagon (98-99) and Nissan Patrol Ute (98 on) 4WD vehicles. 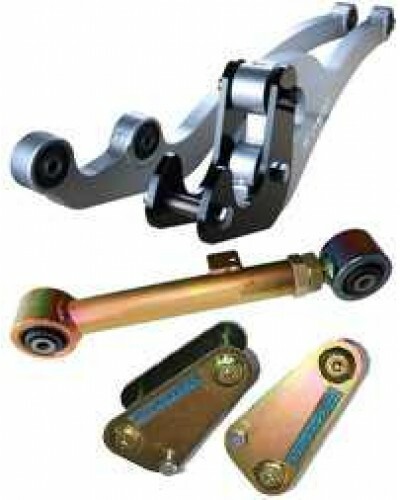 The Stage 3 upgrade kit comes with premium 45mm Adjustab..
Superior Engineering has put together a heavy duty 2" inch Tough Dog lift kit Suitable For GU Nissan Patrol 4WD vehicle with rear leaf springs. The Stage 1 upgrade comes with premium 41mm Foam Cell Shock Absorbers. 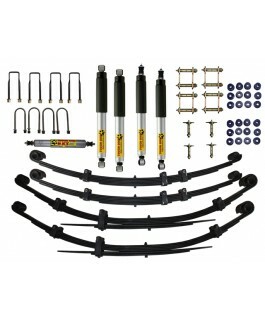 This kit includes the followi..
Superior Engineering has put together a premium 2" inch Tough Dog lift kit Suitable For GU Nissan Patrol 4WD vehicle with rear leaf springs. 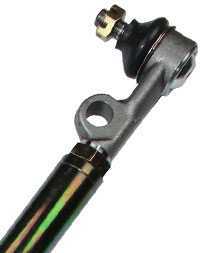 The Stage 2 upgrade comes with heavy duty 40mm Adjustable Shock Absorbers. 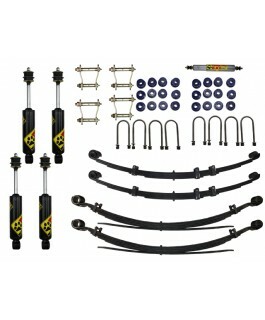 This kit includes the fo..
Superior Engineering has put together a premium 2" inch Tough Dog lift kit Suitable For GU Nissan Patrol 4WD vehicle with rear leaf springs. 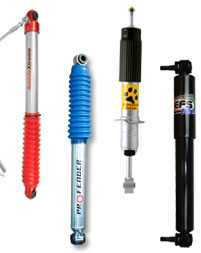 The Stage 3 upgrade comes with heavy duty 45mm Adjustable Shock Absorbers. 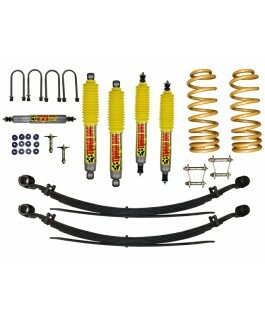 This kit includes the fo..
Superior Engineering has customised this BEST selling 2" inch Tough Dog lift kit Suitable For Toyota 4 Runner and Toyota Surf 4WD vehicles with Independent Front Suspension (IFS). This Tough Dog lift kit includes the following 4x4 suspension acce..
Superior Engineering has custom built this BEST selling 2" inch Tough Dog lift kit Suitable For Toyota Hilux, Toyota 4 Runner and Toyota Surf 4WD vehicles with Independent Front Suspension (IFS). 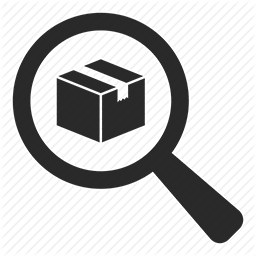 This Tough Dog lift kit includes the following 4x4 ..
Superior Engineering has custom built this BEST selling 2" inch Tough Dog lift kit Suitable For Toyota Hilux, Toyota 4 Runner and Toyota Surf 4WD vehicles with solid axle front suspension (SAF). 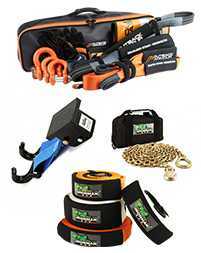 This kit includes the following heavy duty ..
Superior Engineering has created this super heavy duty 2" inch Tough Dog lift kit Suitable For 60 Series Toyota Landcruiser 4WD vehicle. 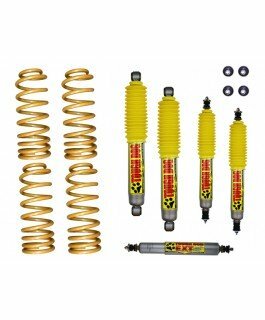 The Stage 1 suspension upgrade comes with premium 41mm Foam Cell shocks absorbers which will suit all offroad ..
Superior Engineering has created this super heavy duty 2" inch Tough Dog lift kit Suitable For 60 Series Toyota Landcruiser 4WD vehicle. 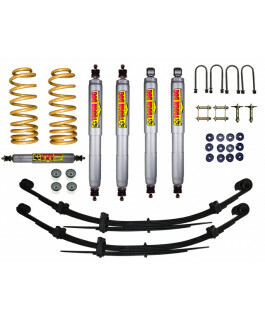 The Stage 2 suspension upgrade comes with premium 40mm adjustable shock absorbers which will suit most offro..
Superior Engineering has created this super heavy duty 2" inch Tough Dog lift kit Suitable For 75 Series Toyota Landcruiser 4WD vehicle. 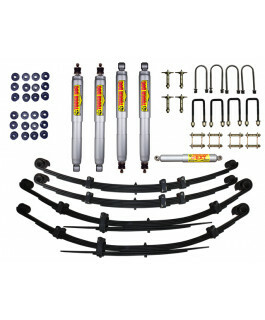 This kit includes the following Tough Dog 4x4 suspension parts: 2 x Front Tough Dog 41mm shocks ..
Superior Engineering has created this heavy duty 2" inch Tough Dog lift kit Suitable For 76 Series Toyota Landcruiser 4WD vehicle. 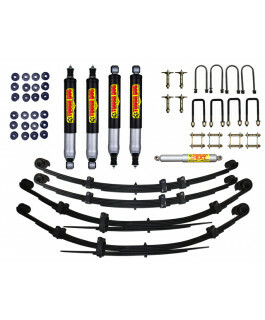 The Stage 1 suspension upgrade comes with premium 41mm Foam Cell shock absorbers which will suit most offroad & ..
Superior Engineering has created this heavy duty 2" inch Tough Dog lift kit Suitable For 76 Series Toyota Landcruiser 4WD vehicle. 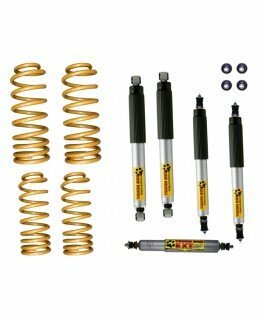 The Stage 2 suspension upgrade comes with premium 40mm adjustable shock absorbers which will suit most offroad &..
Superior Engineering has created this heavy duty 2" inch Tough Dog lift kit Suitable For 76 Series Toyota Landcruiser 4WD vehicle. The Stage 3 suspension upgrade comes with top of the line 53mm Big Bore Ralph shock absorbers which will suit any ap..
Superior Engineering has put together a custom built heavy duty 2" inch Tough Dog lift kit (Stage 4) Suitable For Toyota Landcruiser 76 Series 4WD vehicle. 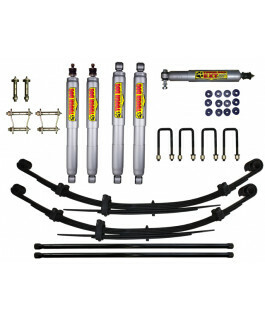 The suspension kit is supplied with the following Tough Dog 4x4 Suspension and Accessories:..
Superior Engineering has created this heavy duty 2" inch Tough Dog lift kit Suitable For 6 cylinder 78/79 Series Toyota Landcruiser 4WD vehicles. 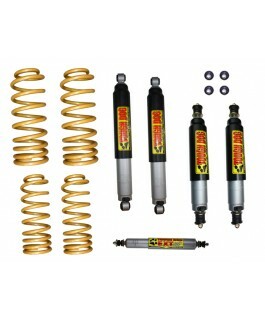 The Stage 1 suspension upgrade comes with premium 41mm Foam Cell shock absorbers which will suit most..